NCTO completed a successful 16th Annual Meeting, March 19-21, 2019 at the Capital Hilton in Washington, D.C. A record 165 people attended the event, including representatives from 79 NCTO member companies. The roster of high-level government and industry speakers allowed attendees to gain first-hand insight into relevant government policy and industry trends. 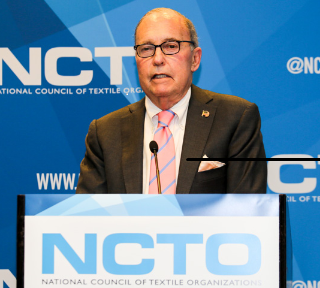 One of this year’s highlights was the keynote address by Larry Kudlow, Director of the National Economic Council and Assistant to the President for Economic Policy, during the NCTO Annual Meeting dinner on March 19. A nationally syndicated columnist and one of the most knowledgeable Washington insiders on budget, tax, and economic policy, Kudlow shared his insight on America’s long-term economic outlook and the current U.S.-China trade negotiations. Click here to see the entire NCTO newsletter.